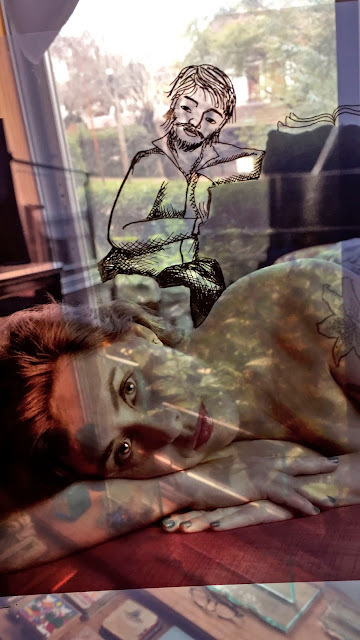 For our upcoming show at the Vermeer Gallery on Sept 20 in Buenos Aires I sent Nora Patrich a scan of a transparency of Linda Lorenzo on my vermillion psychiatric sofa. 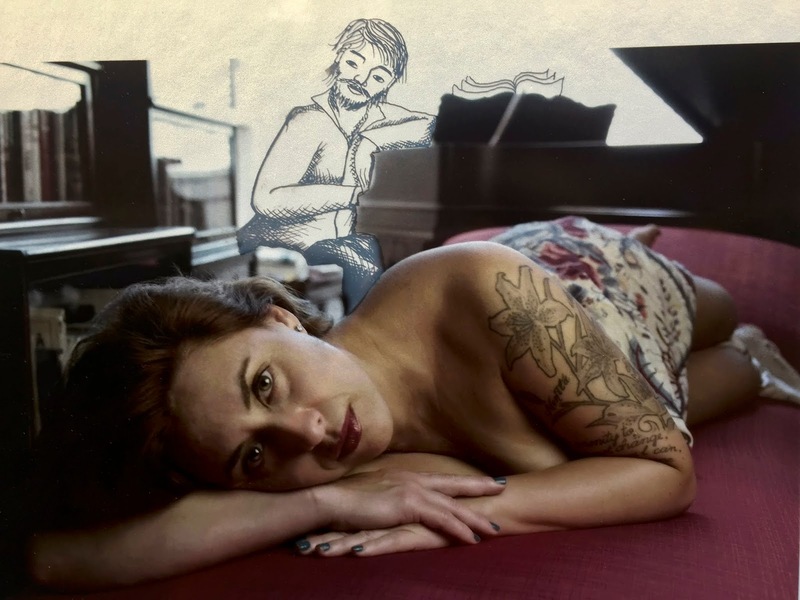 She asked me to leave room in the background where Rosemary and I have a Chickering baby grand so that she could somehow draw a piano player (a very Argentine piano player).Leaving room involved me doing some questionable (in quality) Photoshop work that you see above. The results were splendid. This is what we call a colaboración which sounds a lot better that shared media. It would seem that on an idle day Patrich (who never has idle days) was fidgeting and this is what came out of it.